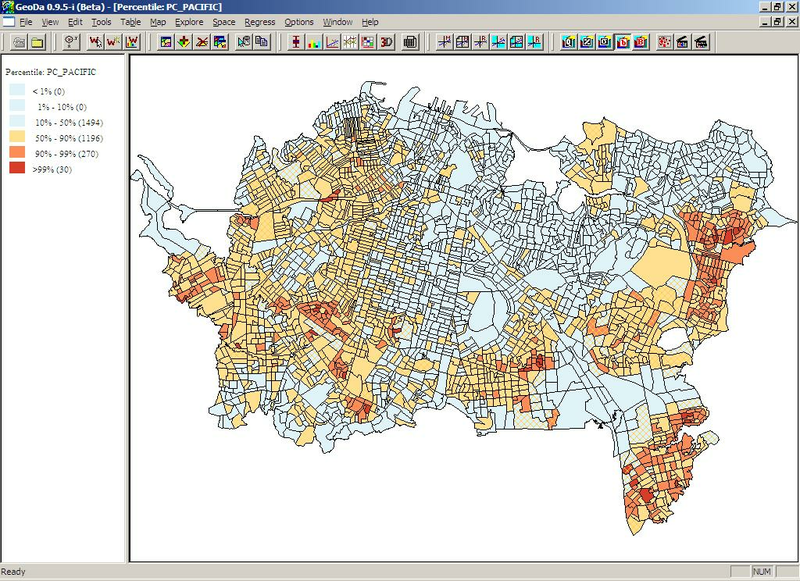 Univariate choropleth maps are maps that show a single data set. Only one set of data is shown in this map of the United States. Auckland, New Zealand is shown in the map above. This map shows the percentage of Pacific Islanders in each area during the census. Only one variable is shown in this type of map. The darker red colors show more Pacific Islanders and the lighter blue colors show a lower amount of Pacific Islanders.